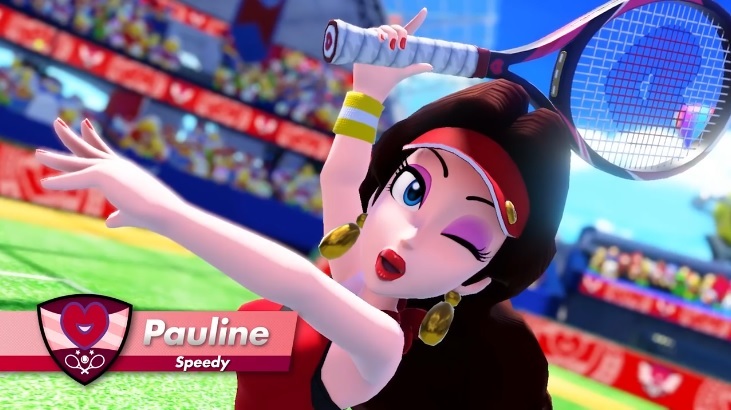 Ever since its release in June 2018, Nintendo has kept adding new characters to Mario Tennis Aces. Ranging from Koopa and Blooper to Diddy Kong and Birdo, these have been released every few months or so, and mostly tie into the datamines posted online earlier. But it seems the datamines aren’t the be all and end all for this game’s roster. Indeed, with Petey Piranha making it in as a playable, it’s clear that Nintendo is willing to go beyond just the unused characters in the files when need be. And that’s made even more so by today’s reveal. A character no one in their right mind would expect to show up in a Mario Tennis game. As you can see, it maintains the more ‘casual’ look sported by every other major character in the game, and works really well in this game in general. And it also helps to cement the idea that Pauline’s recent comeback is a permanent one. After all, if she was just included because her model was convenient to include, they wouldn’t redesign it just for this spinoff title. So it seems like Pauline’s comeback is a permanent one, and that she’ll be making appearances in other Mario games and spinoffs rather than just Super Mario Odyssey. And she’s not alone in the new character department either. Oh no, the update also brings two more characters for the game too. Both of which have a… tiny bit more experience in the Mario Tennis series. Such as Luma. Returning from Mario Tennis Open on the 3DS, this guy is now his own character here too, acting independently as Rosalina and taking part in matches on his own terms. It’s not as exciting a reveal as Pauline’s one is, but it’s a neat enough announcement none the less, especially for fans of the 3DS title in general. Finally, you’ve also got Boom Boom to round out the trio. 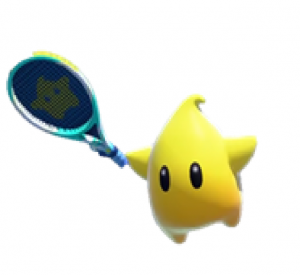 He’s not much of a surprise (given his existing role as a boss and presence in the datamine), but it’s nice to see him playable in a Mario Tennis game none the less. Hell, he already got some sporting experience in the last Mario & Sonic game, may as well give him a bit more here too! And rest assured that come early 2019, they’ll be ready and available as playable characters in Mario Tennis Aces! Mario Tennis Open; New Screenshots, Luma confirmed!